I belive that the key element to a great conceptual image is the use of props. A simple prop can tell a whole story and I try to include some kind of prop in every image I make. I go hunting for props in thrift stores and flee markets several times a week, often with no clue of what I’m looking for. As soon as an item draws my attention I start getting ideas on how I can use it in an image to tell the story I want the image to convey. If I’m looking for a particular prop without being able to find it, I go to craft stores and buy supplies so that I can create it myself. In one of my images I wanted to incorporate a cloud. I know I could easily have done that in Photoshop but it is important to me to create as much as I can with my own two hands. It makes me think of my work more as a craft. In order to create this cloud I bought pom poms, glue, tape and cotton stuffing. I taped the pom poms together in the shape of a cloud, covered the whole thing in glue and then I attached the cotton stuffing. Voilà, I made myself a new cloud! Now, this is obviously not one of my favorite images. The image itself is quite bad but what I do like about it is that I put the effort into it and created the cloud from scratch. 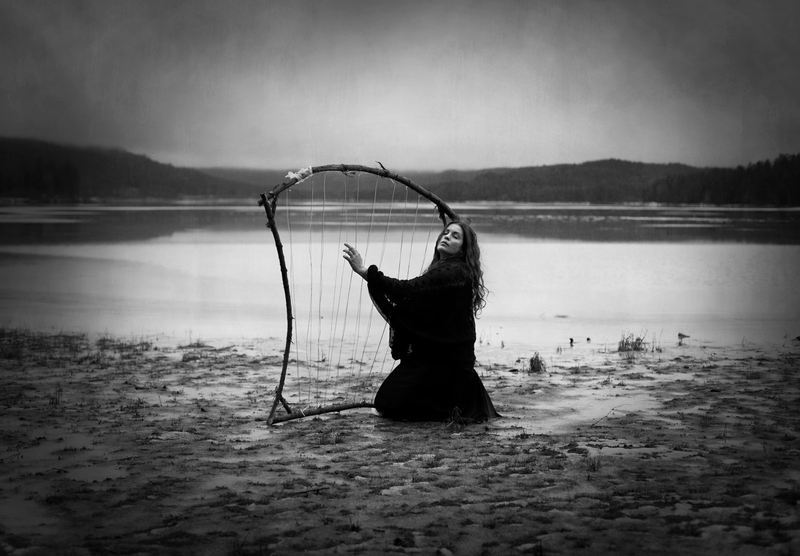 «Nature’s Melody» is an image I had been thinking of for a long time but as you can imagine I had a hard time finding a harp, especially with my limited budget. After a while I realized that the only way to make this image happen was to create the harp myself. I collected branches, bought thread and hooks and started working. My father was kind enough to help me out but it still took me several hours to make it resemble a harp. I actually like the fact that it is made out of branches because the theme of the image is nature and the harp look, well, natural. As mention above I really feel that the right use of props can make an image stand out but that doesn’t mean that you can go crazy with them. Too many things happening in one image can make it look gimmicky and messy and you don’t want that, right? Try to stick to one prop and let it speak for itself. Now I have shared my favorite props but I am open to new suggestions. What are your favorite props to use in your photography?